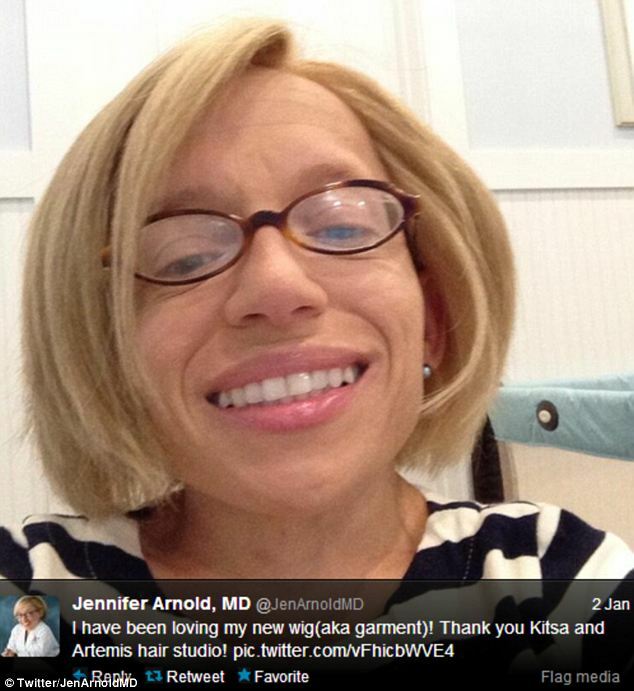 Dr Jennifer Arnold, the star of TLC’s The Little Couple, has revealed she has beaten cancer in a series of excited tweets. 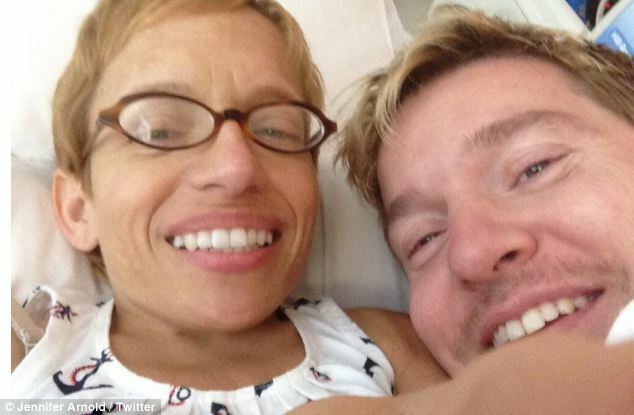 The 39-year-old mother-of-two, who stars in the show with her husband Bill Klein, was diagnosed in October with choriocarcincoma, a cancer caused by a non-viable pregnancy she had suffered. 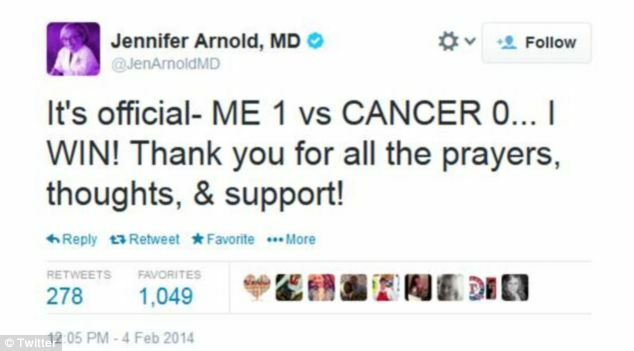 She underwent intensive chemotherapy treatment – and regularly updated her fans with her progress on Twitter – before announcing the great news on Tuesday. Her blood count will now be monitored weekly to ensure that her cancer does not return, then after several months, she will be tested every month, and then every year. She added that she was able to get through the chemotherapy – which left her tired and nauseous – with the help of her husband and the joy of her children. ‘Bill knows when I’m not doing well and he takes such good care of me,’ she said. ‘That was huge. The reality TV star announced her diagnosis in December, shortly after she and her husband brought their second adopted child to their home in Texas. 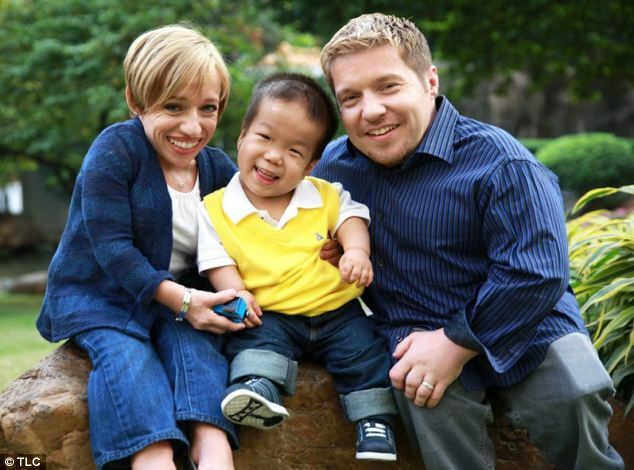 Dr Arnold, her husband and both of their children have dwarfism. The couple had already adopted their son, Will, from China and they were in India to bring home their new daughter Zoey in October when Arnold began bleeding. Desperate to stay with her daughter but feeling increasingly faint, Arnold made the difficult decision to return home. Once back in the U.S., she was diagnosed with stage 3 choriocarcincoma, a cancer sparked by a non-viable pregnancy she had suffered. Her fertility issues have been well documented on the show, and she was shocked when she became pregnant in August – although she said she was not surprised that an ultrasound showed the baby had no heartbeat. ‘I had figured it wasn’t going to be viable,’ she previously told People magazine. 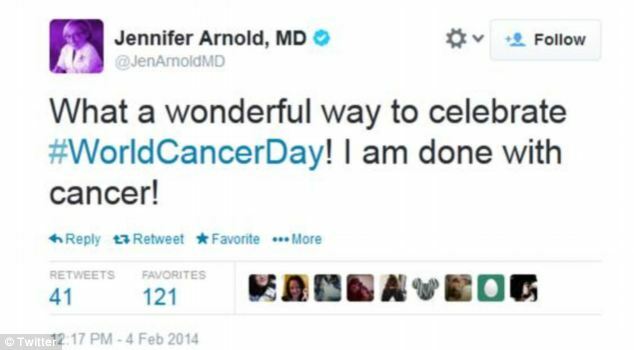 The embryo was removed but cells were left behind and sparked the quick-growing cancer. 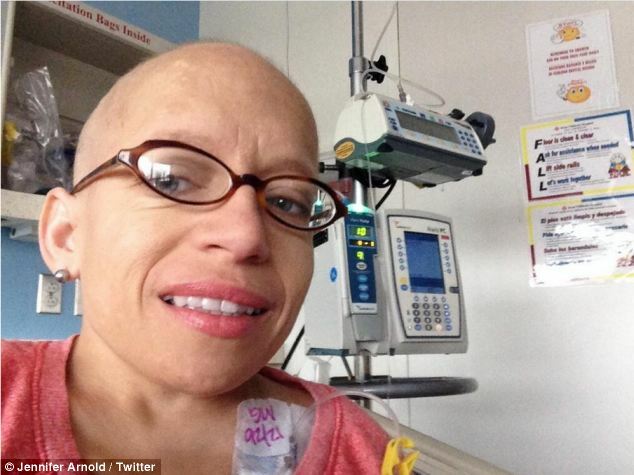 She began intensive chemotherapy while her husband was still in India. But the mass in her uterus failed to respond to the chemo and grew four times its size – and then three tumors appeared in her lungs. Arnold, who has been wearing a wig, detailed the terrifying moment that she learned something was wrong in an interview with People magazine. Doctors were forced to give her a hysterectomy – which they saw as their last resort because of her small airway. An initial setback came when her chemotherapy was postponed for a week because of low blood counts, but said the ‘silver lining’ was that she was able to have ‘a better Xmas’ with her family. Throughout her treatment, she shared images with her followers on Twitter – uploading adorable images of her son Will, as well as photos of her in the hospital. She also uploaded a photograph of her mother to thank her for her support. ‘My parents have been a great support during this challenging time! 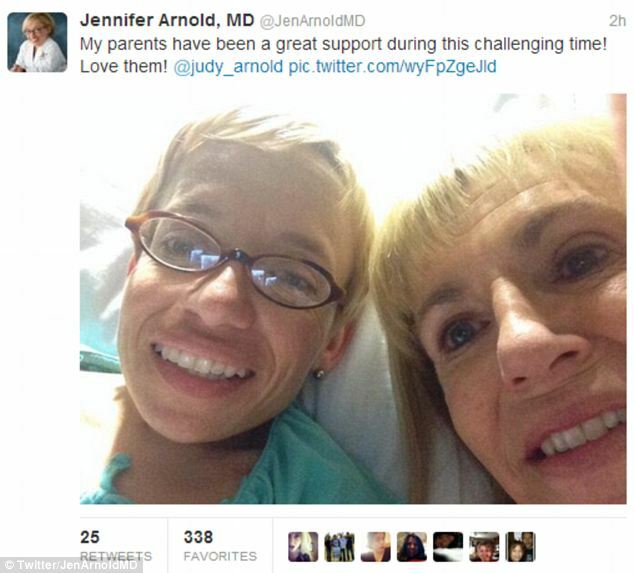 Love them!’ she wrote as her lookalike mother posed beside her in the hospital bed.